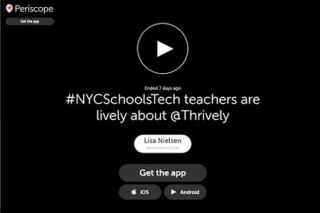 #NYCSchoolsTech teacher Eileen Lennon took the post I wrote on strategies for using #Periscope for education conferences and turned it into this beautiful infographic which we will share with participants at our upcoming #NYCSchoolsTech Summit. I hope it provides some good ideas for your next learning event. Check it out.